All aluminum radiator and silicone hose kit , oil cooler, intercooler and kit for racing auto and motocross autobike. We promise that all our products are made of the best materials and advanced manufacture technique. All our products are 100% fully tested to ensure top quality. All manufactured in a brand new state of the art facility with the same manufacturing process that OEM companies use. This radiator is heavy duty and high flow designed, come with 2 ROW 40MM thick core. 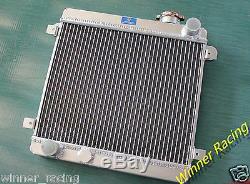 The cores of radiator are welded in vacuum brazing furnace, and the tanks of the radiator are welded by TIG, no epoxy. We never copy from another companys catalog or website. Low Price Guarantee - We Price Match!!! Vehicle Notes: MANUAL TRANSMISSION ONLY. Please feel free to ask. 2 weeks to one month. You can return your item within 30 days if the item you receive is not as described. 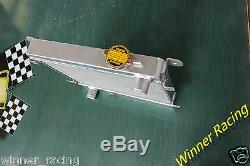 We will arrange for a replacement to be sent as soon as the item is received by us. 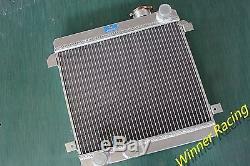 The item "Fit Fiat Seat 128 127 1100 1300 1969-1985 aluminum alloy radiator radiateur 40mm" is in sale since Monday, May 13, 2013.